I kind of stumbled into this story, if I remember correctly. I wanted to write a story on Mears, the defending champion, but he wasn’t readily available to the media. Through his media relations rep, , though, he allowed a select group of reporters to interview him in his garage one practice day. I kind of crashed the party and came out with a story. Twenty years later, I interviewed Mears at the Speedway for a One on One episode. He was as gracious as he could possibly be, as I detail in the intro to that podcast. He was a gracious competitor, too, unsullied by ego and anger. He’s one of the few high-level athletes mature enough to go out on his own terms, before he declined too far. He won the pole and the race a fourth time in 1991 in a backup car, but was injured in practice in 1992 and crashed for the first time in the race. He abruptly announced his retirement at the Penske Christmas party later that year. He was just 41, and could have competed at a high level for at least a few more years. 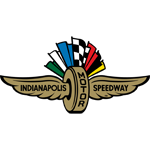 The most successful racer at the Indianapolis 500 doesn’t talk with a Texas drawl and cuss out everyone who crosses him. He doesn’t look like he was born bred in Hollywood, and he hasn’t appeared on Miami Vice or Late Night with David Letterman. He doesn’t have a dad who raced here, nor a son, although his brother did for awhile. He’s not a dazzling young upstart making a splash, nor is he a grizzled veteran hanging on to the last threads of his legend’s coattails. He’s not a hard-luck story, but hasn’t been particularly lucky, either. In fact, he’s faced near-tragedy. 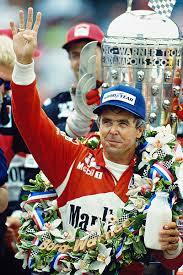 No, Rick Mears has no obvious hooks with which to grab fan appeal or headlines. He’s just a nice who finishes first far more than his fair share of the time and continues to go quietly and cheerfully about his business. In a sport that feeds on drama and self-promotion, winning and decency alone — no matter how often you win and how decent you are — won’t attract a spotlight. That’s why why A.J. Foyt, Danny Sullivan, the Unsers, the Andrettis and others tend to get most of the oohs and aahs, even while Mears is getting the checkered flags. Of that, Mears cares not a bit.